Be. 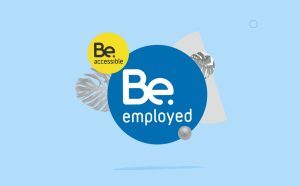 Accessible are excited to announce our new employment offering developed in partnership with the Industry Partnerships team at the Ministry for Social Development and Microsoft New Zealand. The programme is designed specifically for talented New Zealanders who have a long-term health condition, injury or disability. Be. Accessible match awesome 21st Century savvy New Zealanders with access needs and a diverse range of employers in areas such as Design, Innovation and Technology, Tourism and Professional Services. Also provide innovative professional development opportunities for individuals who are experiencing barriers to finding the career of their choice. Find out more about this exciting opportunity over on Be. Accessible website.